Norwegian Air has released its fourth quarter and full year results for 2018, and the numbers are not looking good. Norwegian has lost $170 million last year. Nonetheless, the airline has vowed to return to profitability through a variety of measures. Norwegian is the third largest low-cost carrier in Europe. Photo: Norwegian. Why has Norwegian lost this much money? 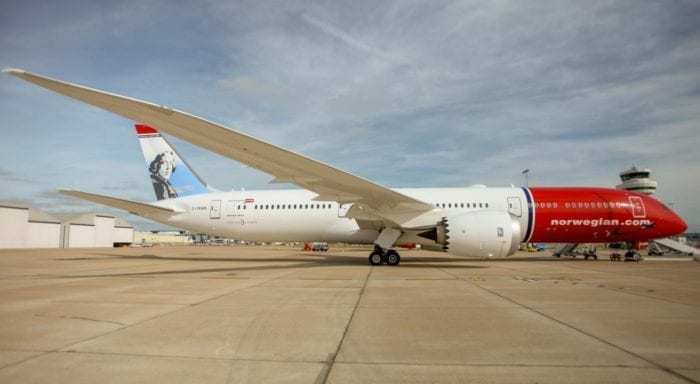 According to Norwegian, “the figures [are] strongly affected by engine issues, fuel hedge losses and tough competition in a period of strong growth.” The airline had to face several unforeseen challenges last year. High fuel costs and tough competition from other carriers had a significant impact on Norwegian’s operating results. The airline’s fuel cost in the fourth quarter of 2018 was 65 percent higher than its fuel cost in 2017. Furthermore, Norwegian’s Dreamliners experienced issues with their Rolls-Royce engines. Consequently, the airline had to wet lease aircraft in order to avoid delays and cancellations on Dreamliner flights. The engine issues turned out to be rather costly for the airline. Norwegian had to ground Dreamliners due to issues with the Rolls-Royce engines. Photo: Norwegian. At the same time, the airline did indeed experience substantial growth. Its operating revenue increased from $3,607 million in 2017 to $4,693 million in 2018. This is a gain of 30%. Nonetheless, it only transported 13% more passengers in 2018 than in 2017 (37.34 million vs. 33.15 million). Its load factor was 85.8%. 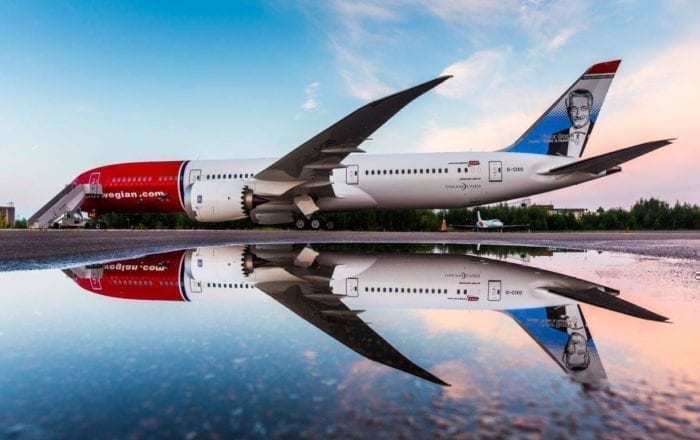 Moreover, Simple Flying reported last month that Norwegian’s large number of aircraft acquisitions has left the airline in a substantial amount of debt. The airline now faces large payments to meet its debt obligations. As a matter of fact, Norwegian’s net interest-bearing debt increased from $2,593 million at the end of 2017 to $3,718 million at the end of 2018, an increase of over 40%. Despite the large operating loss, Norwegian’s unit cost (including depreciation and excluding fuel) actually decreased by 12% last year. 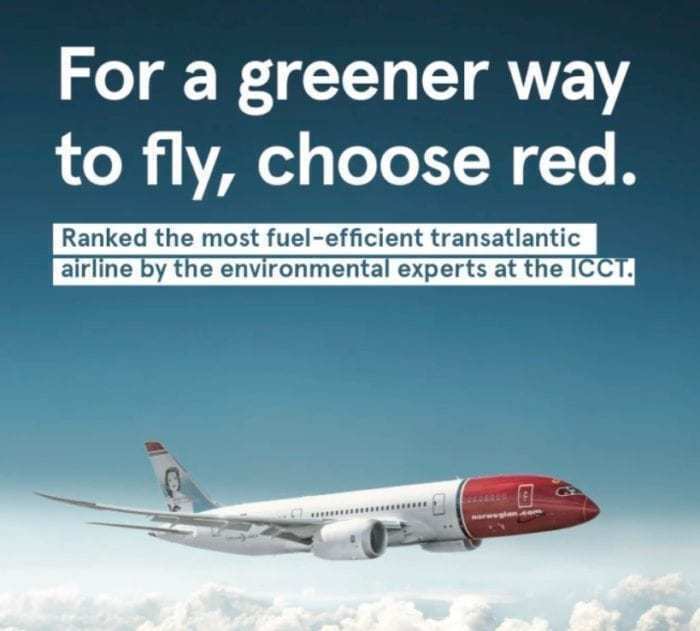 Even though Norwegian was named the most fuel-efficient transatlantic airline, its fuel cost has risen significantly. Photo: Norwegian. How is Norwegian trying to return to profitability? Norwegian already has a strategy for returning to profitability. This strategy includes a cost reduction program, the sale of aircraft, and an improved route structure. Accordingly, the airline will discontinue service on routes that are unprofitable. It will continue to expand its long-haul market, but it will cut some of its short-haul routes and close four bases in the Mediterranean. The airline will, however, still take delivery of five Boeing 787-9s and 16 737 MXs this year. These aircraft have a lower operating cost than some of its current aircraft. At the same time, Norwegian will get rid of some of its Boeing 737-800s in 2019. Additionally, Norwegian is planning on raising its capital through a rights issue of about $350 million. Nonetheless, will these measures be enough for Norwegian to return to profitability? Only time will tell. Anyway, it will be interesting to see how 2019 shakes out for Norwegian. What do you think? Will Norwegian be able to turn things around and return to profitability?